My love for lipsticks leads me to write this Wet N Wild Shine Lip Lacquer review. Wet N Wild's Lip Lacquer lured me in by the revamp of the their product; it's now designed to show the terrific color through the clear glass top. The platinum-colored base made this product seem attractive and stylish. I imagined it standing prettily on my vanity table or tucked in my purse's cosmetic bag. This product fits inside the palm of your hand and weighs .09 ounces. The advertisement for this product promised to give me full coverage and a glossy shine by combining lipstick with a moisturizing lip gloss. While I was not very satisfied with Wet N Wild's lacquer, there were a few things it had going for it. Inexpensive: The price included the tax and the total was less than $5.00, making it a very affordable splurge. Colors: I liked the color offerings. The titles were one word so they are a cinch to remember. Some of my favorites were "Risque," "Passionate" and "Fling." Packaging: The packaging was stylish and attractive. I like the platinum look of the product's case. 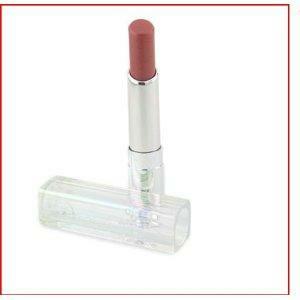 Roll on: This product glided on to my lips quite smoothly. The size of the tip made it easy to direct the product where I wanted it. This product had a few definite cons that I cannot neglect telling you about. Design: When you pop the lid off, if you are not careful, the lid dents and breaks the lipstick. There is not much room between the case and the lipstick. Soon, my decorative glass case was full of lipstick streaks. Smearing: It went on nicely, but it did not take much for this lip color to do a little shifting. For some reason, I kept getting it on my teeth, which is not a common problem for me. I have mixed emotions about this lip product. While it looks pretty and inviting, I have a feeling this lipstick will end up at the bottom of my makeup drawer. The packaging over promised and the product undelivered. My lips did not feel moisturized or look very glossy. If you make lipstick choices by price alone, then this one is for you. If quality means something, then skip this one. I am sorry to say that my Wet N Wild Shine Lip Lacquer review does not have a happy ending. In short, it's subpar makeup from a company I really like.